Home / Retirement / 401(k) Loan â€“ Is Borrowing from Your Retirement Smart? In these tough economic times, it can be tempting to see your retirement account as an emergency fund. You can tap those assets when you are in a pinch. And, if you feel bad about it, you can get a 401(k) loan, so that you are essentially borrowing from yourself. The main advantage to the 401(k) loan is that you are borrowing money from yourself. You receive your loan, and when you pay the interest, you are paying it back into your retirement account. Many people like this option because it helps them avoid the costs that can come with an early withdrawal. If you just withdraw the money from your retirement account, before you are 59 1/2, the money is taxed as regular income, and you have to pay a 10% penalty to the IRS. Your 401(k) loan provides access to the money without the penalties. There are drawbacks to the 401(k) loan, though. First of all, you will probably have to pay loan origination fees. These are fees that you don’t recover for your retirement account later, since they are paid to the plan administrator or some other entity. Another downside is that your 401(k) loan can be called in rather quickly in some cases. If you leave your job, or are laid off, the entire loan amount has to be paid back ahead of schedule. If it’s not, the money is considered an early withdrawal and you owe the IRS money. You also have to realize that, even though you repay your 401(k) loan with interest, there is no replacing the opportunity loss. With your money out of the retirement account, it is no longer earning compound interest. You can’t replace the time that your money would have been growing in the account. What about Other Retirement Account Loans? If you have an IRA, you can also get a loan from the account. But it works differently. With an IRA, you can withdraw money tax-free and penalty-free for 60 days. Basically, your IRA can act as a short-term loan. If you don’t re-deposit the money within 60 days, then it is treated as a withdrawal, with the accompanying taxes and penalties (if you are under 59 1/2). It’s also important to note that there is a one-year rule involved with these 60-day loans from your IRA. You cannot take advantage of this loan more than once in any one year period. So, if you take loan form your IRA on April 1, 2013, you can’t get a loan again from the IRA until April 2, 2014. Any second loan taken out within the year period is simply treated as a regular withdrawal. You’ll pay taxes on the money, and the 10% IRS penalty if it’s an early withdrawal. There are circumstances in which you can withdraw money penalty-free from an IRA, though. If you meet them, you can avoid the need to replace the money within 60 days to avoid the costs. And, of course, if you have a Roth IRA, you can withdraw your contributions to the account any time, and for any reason, without tax or penalty, and without paying the money back. However, once you start withdrawing your earnings, the story changes. Even with the IRA, though, you still run into disadvantages. While the opportunity cost with a 60-day loan from your IRA isn’t as great as what you see with a 401(k) loan, it’s still there. And if you withdraw the money outright, without replacing it, even if you aren’t penalized on the withdrawal, you are still missing out on potential future growth. 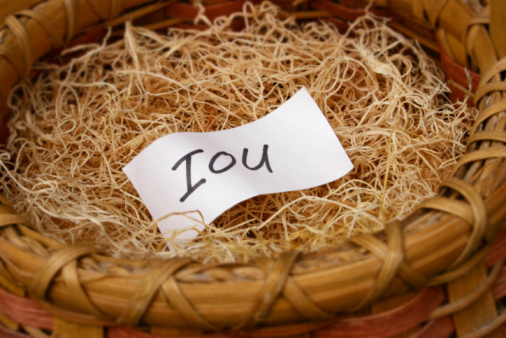 Have you ever considered taking out a 401(k) loan? Are you now? Leave a comment and tell us your thoughts! 3 Responses to 401(k) Loan â€“ Is Borrowing from Your Retirement Smart? I will be honest, the thought has crossed my mind many of times, especially of late. It would be nice to consolidate all our debt into one payment. The reason I don’t is the opportunity costs that you mentioned above. In the long run by doing it, I am afraid it will turn out to be actually more costly than to keep doing what we are doing. I’ve done it only once, and that was during the dark days of the recession, and it was to buy more bargain-priced stocks. It worked spectacularly, and everything’s settled out as of now. We’ve retired in the meantime, so we won’t be able to do it again. But in a recession I’d do it again in a heartbeat. Bargains like that only come around once every 7-10 years. Good post. My employer luckily has an equal match contribution. Right now I have it at %2 but will change it to the maximum now that I have paid off my student loans.